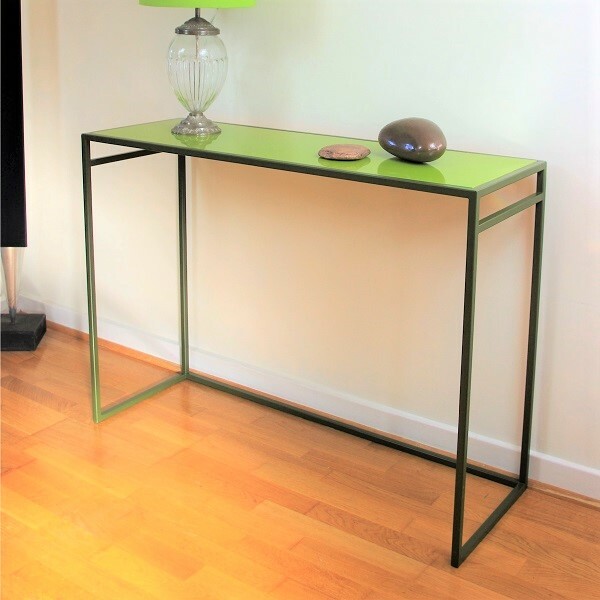 Our slim console table has an understated simplicity. With a linear design the Creative Colour range features striking contrasting colour shades. 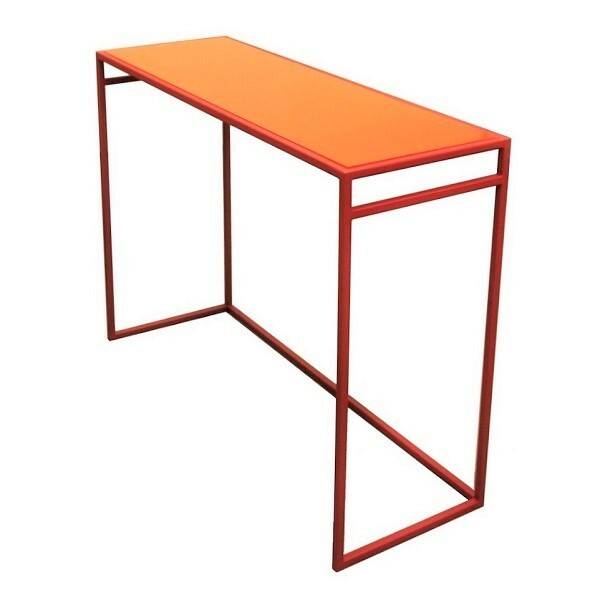 Inspired by a bright rich colour palette, these metal console tables are perfect for those wanting to inject colour into their home with a modern twist. The Creative Colour range is designed to enhance an interior space with a dynamic pop of colour. We have carefully matched contrasting but compatible colour to retain an elegant but fun quality. Vibrant tops in reds, greens, blues and mauves contrast with coordinating base shades. Wood option – choose from a paint finished block colour buffed to produce a glass-like appearance. Or our in-house textured custom paint finish. Glass option – either block colour or a custom paint finished. Custom painting ensures each top has a truly individual and unique appearance – textured two tone patterned. 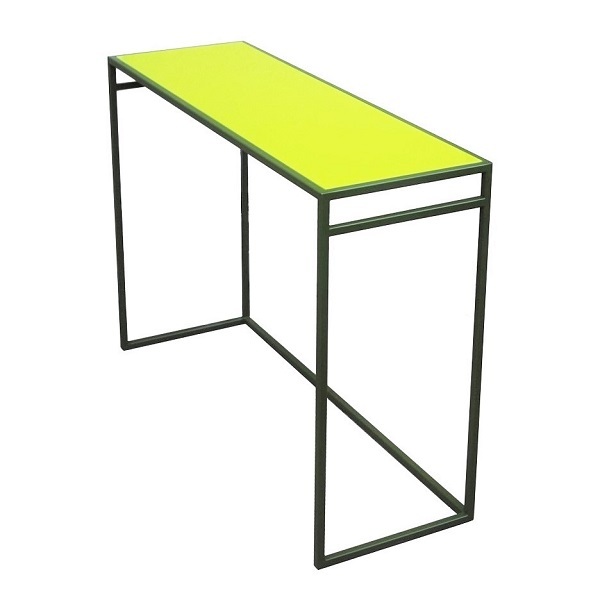 The base frame is paint finished in a choice of colour to compliment the console top. An alternative metal finish can be applied using our own in-house specialist metal finishes. The subtle bronze, brass and copper tones beautifully compliment the vibrant tops. Wood – Choose from a paint finished block colour buffed to produce a glass-like appearance. Or our in-house textured custom paint finish. 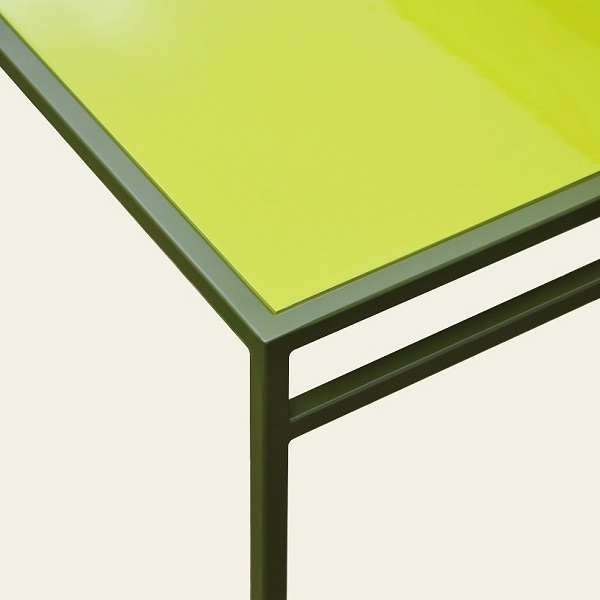 Glass – In addition we have included in this range an option of a custom paint finished glass top. Custom painting ensures each top has a truly individual and unique appearance. Dust regularly and only if necessary wipe clean with a damp cloth, buff after with a dry cloth. Avoid placing sharp objects directly on the wooden top to prevent scratches. Free delivery within the Uckfield delivery area (up to 40 mile radius). Outside of that from £50.